Breathtaking sceneries on the Alsatian countryside, fairy tale like villages and great wines, the Alsace Wine Route is an experience you will remember. We started our itinerary in Châtenois, following the cycling route 5 “route du vignoble”, passing by the towns of Ribeauvillé, Riquewihr and Ammerschwihr, to end up at the Ammerschwihr Wine Fair for a tour and tasting. 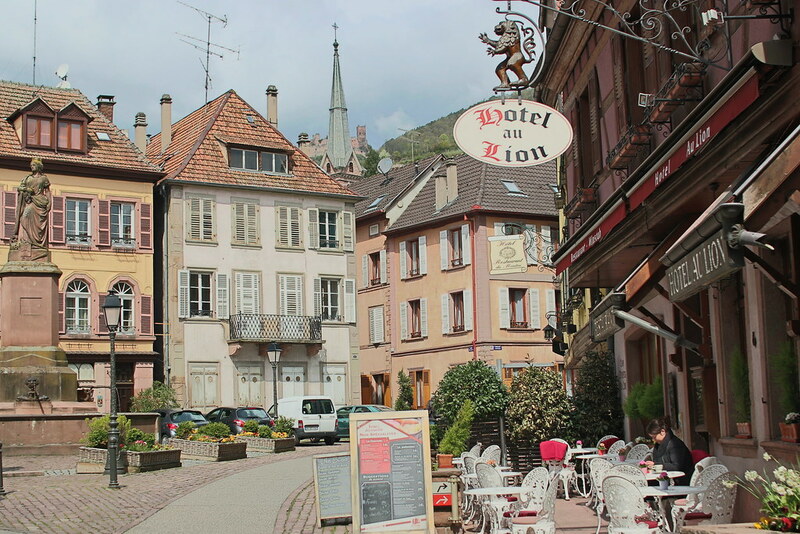 Two of the most visited towns on the Wine Route, Ribeauvillé and Riquewihr are both definitely worth a visit. 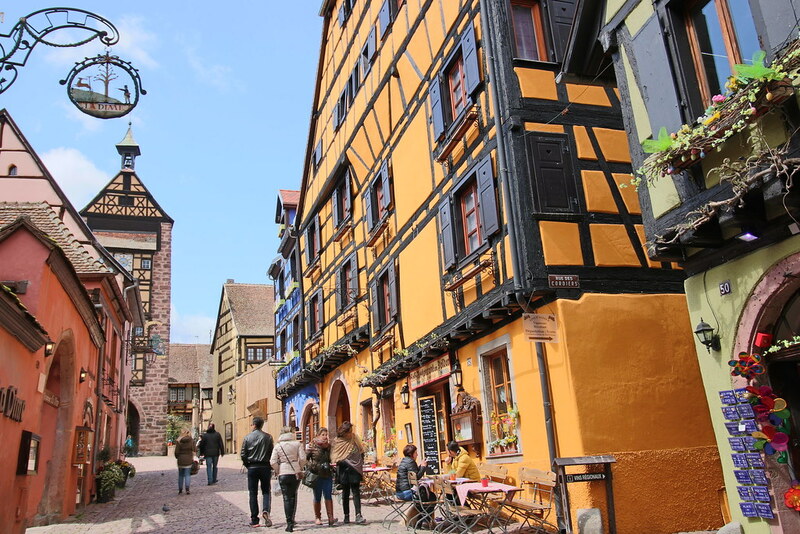 I must say I am quite fond of Riquewihr though, the timbered houses with their colourful façades, the cobblestoned streets, the shops, you truly feel like in a fairy tale. In scenic route you will have to understand hilly ! We were not used to cycling on such steep roads but the main benefit you get is the view on the hills, valley and villages around. One of the most beautiful countryside I have seen so far. The Alsace Wine Route is of course just another reason to taste some good wine. 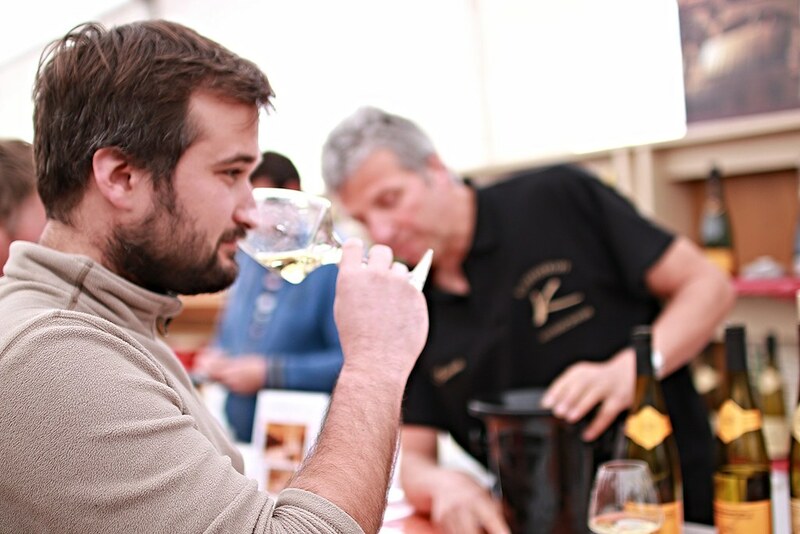 From April to October are held the Wine festivals all over the Alsace Wine Route. They are great occasions for you to visit, taste and enjoy a good time in this beautiful region. And outside of these events, I can assure you that any winemaker on the road will open their cellar doors with a warm welcome. 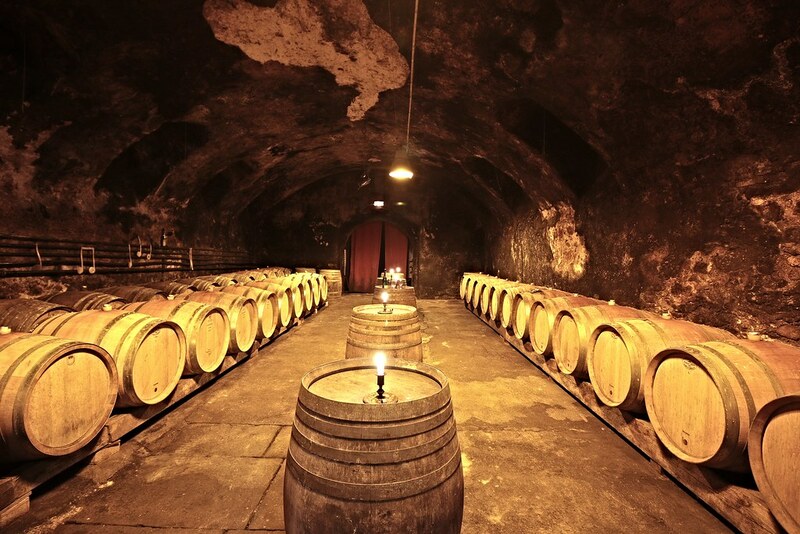 In the Kaysersberg valley, the village of Ammerschwihr is known for winemaking since the 9th century. For the golf lovers, there is a golf course that is said to be one of the toughest to play on ! But the golf is not the main reason to visit of course. 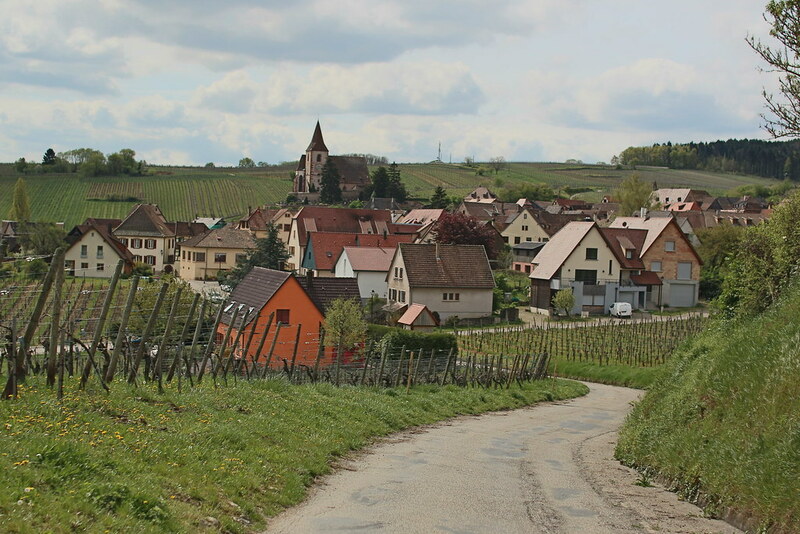 We were guided by Valérie, as part of our Wine Tasting, and got to discover a truly authentic Alsatian village. Many examples of typical alsatian architecture are still standing, the houses, the town walls and Saint Martin church. We took a tour in the vineyards, admiring the views on the village and luckily avoiding the rain ! 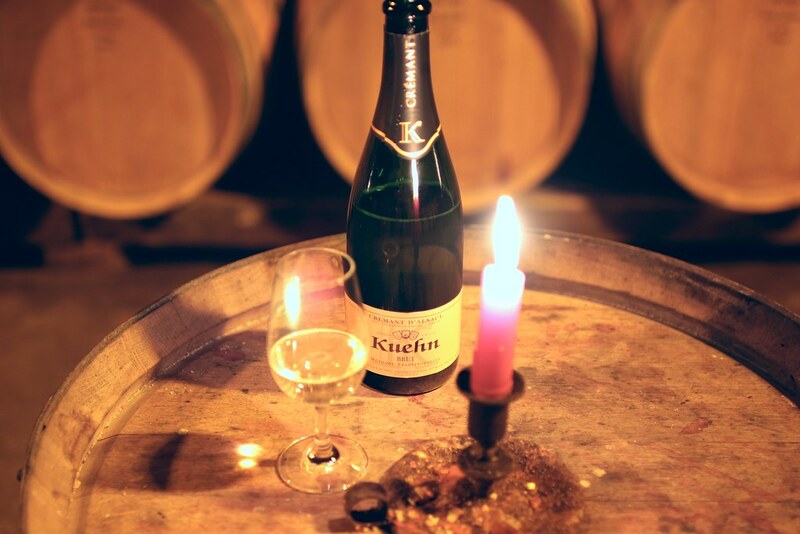 We finally got back to Kuehn Domaine to taste some Crémant, one of the 3 Alsace AOC Appellations, in the Caves de l’Enfer, their beautiful old wine cellar. After learning more about history and wine making, we met Francis Klee, who has been a wine expert for Kuehn Wines for 20 years, and has so much to teach about Alsace wines. It was a first time for us trying wines that were still in casks (2015 harvest)… What an interesting experience trying to figure out the complexity of the final product. Alsace region is featured with a “Grand Cru” label (the king of labels in France) they acquired lately. 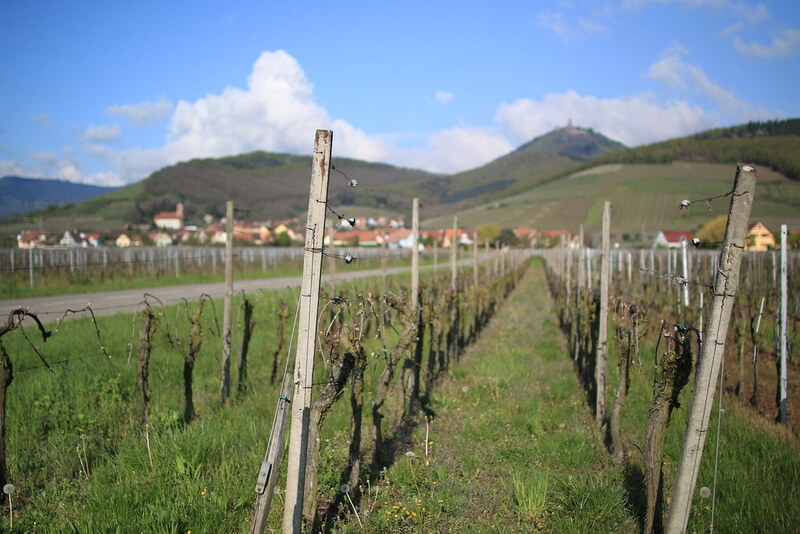 We tried two of those, the Kaefferkopf & the Sommerberg which are both endemic grape blends. They both had a rather subtle and complex taste, the first one being dry and the later sweet. I found the Sommerberg more balanced with its final acidity that was due to the young age of the beverage. I love Alsace wine for mostly 3 reasons : it is white, reliable and fairly priced. If you visit France and don’t end up passing by Alsace region (which is a shame), you will typically find 3 types of Alsace wine bottles in supermarkets, named after the grapes used to produce the wine : Riesling, Sylvaner & Gewurztraminer. Riesling is dry & straight forward with a nice acidity, Gewurztraminer is sweat & sharp and Sylvaner is inbetween. That is to say, Sylvaner is sometimes harder to find and quite often my favorite. You also have Crémant d’Alsace that is a fairly good sparkling wine substitute to Champagne. The average pricing in supermarkets for any of those is about 6/7 € (ranging from 4 to 14 €). Wines from Alsace are easy to spot because of the their bottle in flute shape with a yellow label. What makes Alsacian wine special ? It is always good at least ! I don’t know why, but it is very difficult to find a wine from Alsace that tastes bad (I never did), it can only go from ok to excellent. So you can go blind, buy any bottle and have a happy result. On top of that, bringing a bottle of Alsace wine is slightly more original than bringing a red bottle of some other well-known region that is mostly overpriced and often disappointing. If you are Couchsurfing in France and want to make your host happy without going bankrupt, you should definitely consider an Alsace bottle. *Please, remember that I am not a wine expert, just a wine enthusiast (and a Frenchman) trying to make it easier for foreigners on their quest on discovering my beloved country. 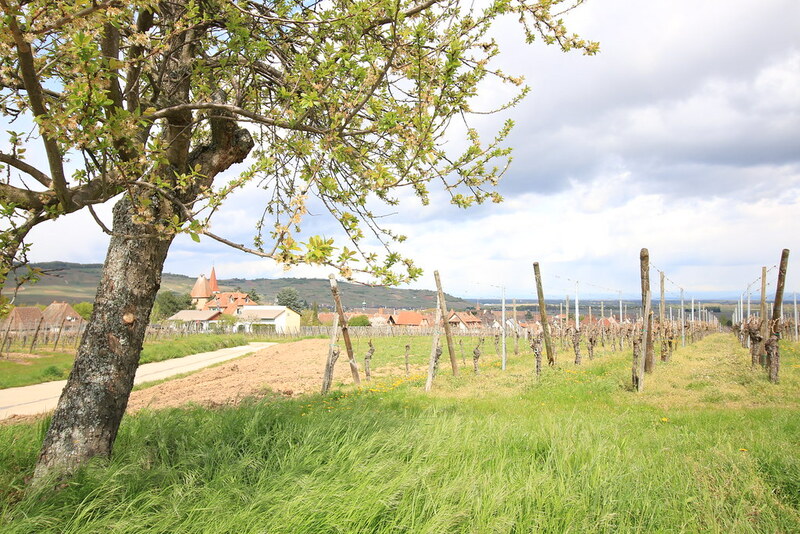 Have you done the Alsace Wine Route or tasted some Alsace wines before ? What did you think ? Tell us in the comments below !